Over the course of the fall semester, middle school computer science students have been learning that software creation is about much more than knowing how to code. Utilizing the concepts defined in the Design Thinking Process (which is currently taught to graduate students at Stanford University), young programmers are learning how to create the best possible user experiences. Using games as a basis for teaching software design seemed like a natural choice, because many students were already so familiar with them. “Using that as the base, students stayed on board with enthusiasm to learn computer science concepts,” said Misra. In their work with Gamestar Mechanic, students learned how to empathize with potential users, which helps them in defining the requirements for the games they create. After defining the challenges that must be surmounted to meet user requirements, they sketched out concepts and took feedback from users and peers who are both like- and different-minded. Prototypes were then made and released to the Tamagawa students, who provided additional feedback, which was then used to finish and release the final products. 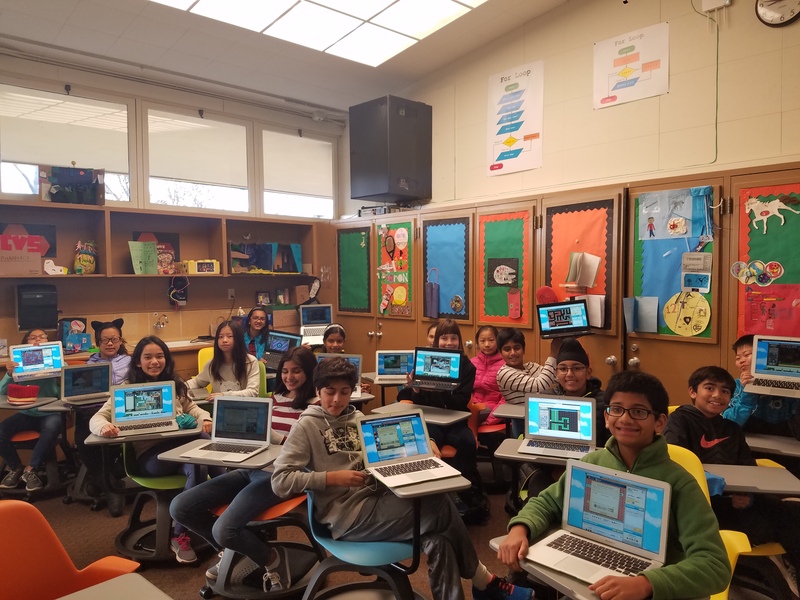 Using the knowledge and experience gained from their first projects, the students are now making games for their peers at Harker.